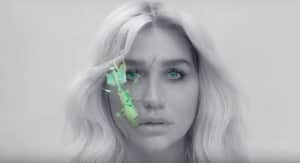 According to The Hollywood Reporter, a New York Supreme Court judge denied Kesha an injunction today that would allow her to leave her contract with Sony. The singer is seeking a way out of her contract as part of a larger legal case against her former manager and producer Dr. Luke, who she accuses of physically, emotionally, and sexually abusing her over the course of a decade. "You're asking the court to decimate a contract that was heavily negotiated and typical for the industry," Judge Shirley Kornreich reportedly told the singer's lawyers. "My instinct is to do the commercially reasonable thing," she continued. Later she added, "I don't understand why I have to take the extraordinary measure of granting an injunction." If she can't get out of her contract, Kesha had been hoping to record without Dr. Luke. Sony allegedly refused her request last year, though Luke's lawyers said today that the producer had agreed to let her work separately. The singer's attorney referred to this as an "elusive promise." Kesha alluded to her upcoming court date in an Instagram post earlier this week. "This is not just for me," she wrote. "This is for every woman, every human who ever been abused... the outcome will be what it will be. There's nothing left I can do. It's just so scary to have zero control in your fate."